We Can Fix Vaillant, Baxi, Ideal & Potterton Boilers. Professional Boiler Repairs In Greenwich Provided By Fully Qualified Engineers. Our Emergency Response Team In SE10 Can Respond To Your Emergencies, 24 Hours A Day. If you need expert boiler repairs in Greenwich, then Trustworth Plumbing is the company to hire? We have a dedicated team of engineers that carry out precision installations, faultless repairs an a professional boiler service. The most commonly installed ones are no match for their skills. It is very important to us that we do all the necessary safety checks before and after each job. We are specialists at fixing Vailliant, Ideal, Baxi and Vaillant gas appliances. There are plenty of real benefits if you get your boiler serviced once or twice least once a year. The main benefit is we can maximise the efficiency of it. So you will save money because you are not having to overuse it. By taking the maintenance side of it very seriously you can make sure that you are one step ahead. You will not have to endure countless repairs over the years; which always cause inconvenience. We always put safety first because as professionals, that is the most important thing to us. There are no room for errors in our work as effectively, these errors could put your life at risk. Especially if we face a boiler repair that is very technically challenging, we take extra care. Our dedicated team in Greenwich are very experienced. We understand that your appliance will never last forever, but we can help you look after it for many years. Our Greenwich boiler repairs team can discuss with you our aftercare packages. They are always happy to answer your questions and offer small bits of advice about maintenance. Their main priority is to fix your appliance. However there are occasions where they can not fix your boiler. It could be that it is necessary that you need a replacement. Whatever the outcome, we will work to make sure that everything is fine. If you are having central heating problems, then you need our experts to solve them. It is very important that you take the health of your boilers very seriously. If your gas appliance has regular servicing it can help spot problems more easily. Think of it like you regularly going to see your dentist. The more check-ups you have, the more chances to spot anything wrong with your teeth. So do not leave anything to chance when it comes to your home heating. Waking up without adequate any hot water and heating on a cold Winter morning is certainly not fun. If you have children that need to get ready before school, it can be a nightmare. So if you boiler suddenly stops working then call us immediately. We understand that it can be a tough time, so we our best to respond quickly. Our boiler repair Greenwich team, have the ability to fix any problem. Are you in SE24 and have experienced a sudden boiler breakdown? Our local engineers are fully qualified to deal a heating emergency of this nature. We will precisely diagnose what the problem is and solve it. All of our engineers are dedicated to putting in 100% dedication to every job they do. 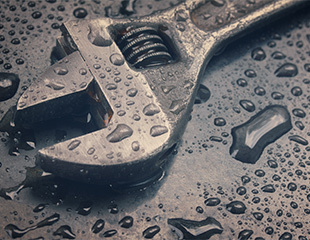 Our team understands that it is important all required checks are done, before and after the repair. So you can trust us not to make serious errors. We want to also help you safeguard your boiler from future breakdowns happening with regularity. Creating the optimum home heating experience for your household is our goal. 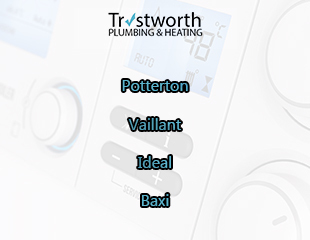 We are specialists at servicing and fixing the following types of boilers: Ideal, Baxi, Potterton and Potterton. If you hire us it gives you peace of mind that you have an expert. It is essential that you only hire a fully qualified engineer . There are people out there taking risks by hiring unqualified people who claim they can do gas we work. You are putting your life at risk by doing so. After we have fixed everything, you should think about the future of your appliance. Call Trustworth Plumbing on 0208 670 4443 and we can explain the benefits of our aftercare packages. We have a very reliable boiler installations team in Greenwich. Nothing other than total excellence will do for them in regards to the work they do. We offer a 3 year guarantee on all installations we carry out. For all boiler emergencies please contact Trustworth Plumbing on 07951538977. We have a dedicated 24 hour response service. Soon after your call we will arrive to assess the situation. 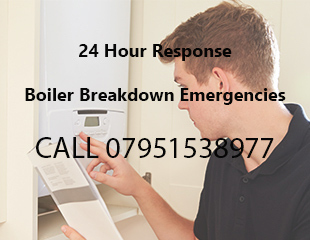 Our same day response service is there to deal with your boiler problems quickly. In the cold months if your central heating is not working, it is an emergency. For people with a family of young children in the property, it is tough. All our local engineers cover South-East London. We offer this service to businesses and landlords also. We understand for your customers and tenants, these issues have to be resolved quickly.